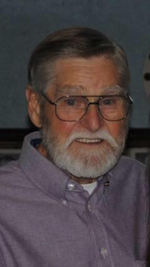 Richard Clayton Laye, age 81, passed away on Saturday, September 29, 2018. He was born in McAlester, Oklahoma to Leslie and Betty L. (Walker) Lay on Tuesday, August 10, 1937. Richard was a member of the Masonic Lodge 1422 AF&AM, Da-Lite Lodge in Dallas. He was a lifelong Scottish Rite member, and a 32-degree Mason. Richard was a loving husband, father, grandpa, great grandpa, great great grandpa, uncle and friend to many, who will be deeply missed. He is preceded in death by both parents and brother David Weslie Laye. Left to cherish his memory are the love of his life and wife of 64 years, Wilma Laye; daughter Pamela Jean Hardman and husband Thomas; son Richard Clayton Laye II; son Michael Leslie Laye and wife Sheila; grandchildren April Sanderson and husband Dane, Nicholas Hardman and wife Allie, Heather Laye, Trina Laye, Hannah Laye, Haley Laye, Preston Laye, Melissa McCurry and husband Jeff, Russell Hardman and wife Martha and Skylar Murray; 16 great grandchildren; 8 great great grandchildren along with numerous extended family and loving friends. The family will receive friends between 6:00 and 8:00pm, Thursday, October 4, 2018 at Brown’s Memorial Funeral Home, 707 N. MacArthur Blvd in Irving. A funeral Service will be held 10:00am, Friday, October 5, 2018 also at the funeral home with the interment at Oak Grove Memorial Gardens immediately following. The family request memorial donations to the Texas Scottish Rite Hospital for Children at https://scottishritehospital.org/. To send flowers to the family of Richard Clayton Laye, please visit our Heartfelt Sympathies Store.